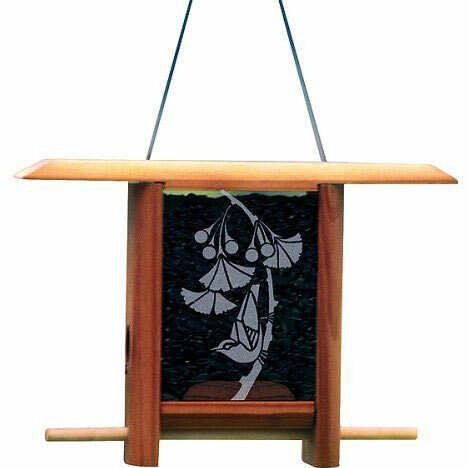 Inspired by Asian design, this Schrodt Design hanging bird feeder gives your little birdie friends a peaceful and safe place to feast. Frame is crafted of gorgeous redwood, and each of the 4 glass panels features a hand-etched design of gingko leaves. Top-loading hopper makes filling easy. These birdfeeders have two feeding ports.